“An apple a day keeps the doctor away,” or so the saying goes. Apples may be good for you, but despite that, they’re just plain good. 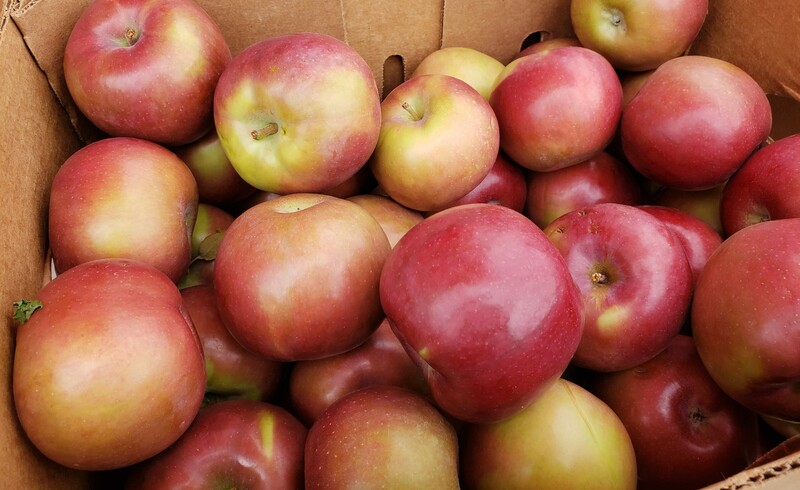 Sweet, crisp, flavorful, and refreshingly tart, fall has no better ambassador than apples. With a wide range of color, flavor, and texture, apples can enhance almost any situation. 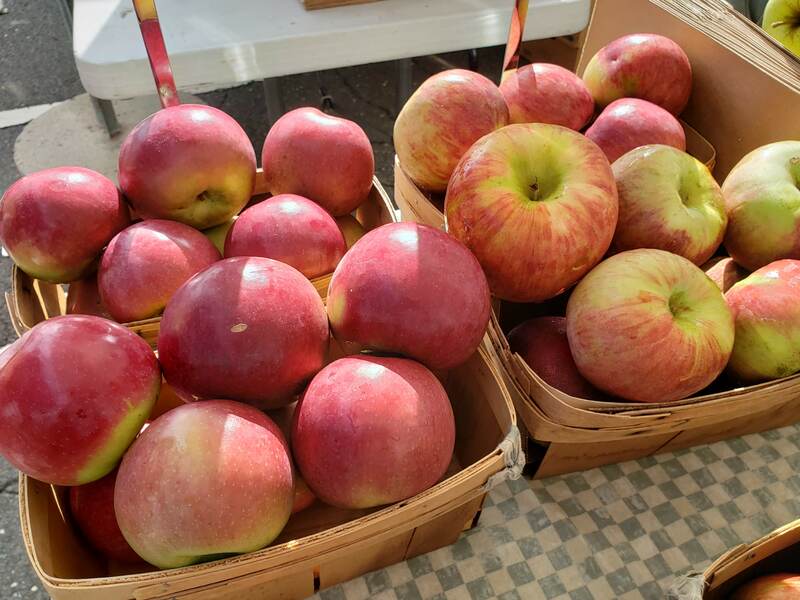 They’re good for eating, baking, and making sweet, fresh cider. 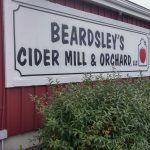 When fermented, apples live on as hard cider or even apple brandy. Our forebears instinctively knew that apples were healthy. Now, we have the science to tell us that they’re loaded with vitamins, antioxidants, and fiber. They may be helpful in preventing cancer, heart disease, and diabetes. Unless you’re Adam and Eve, there’s really no downside to eating apples. Choosing an apple can be a little daunting. In their crowded field some are promoted for eating, others may be better suited for baking, while a few fall into both categories. Pomologists are constantly on the hunt for new cultivars, while the old standards remain popular. Macintosh, the national apple of Canada, was for years the gold standard in New England. 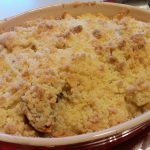 The tart-sweet tender-fleshed apple was discovered by John Macintosh in 1811. Widely grown after 1900, it was a favorite for both eating and baking. The Macoun became a hard-to-find cult favorite in the mid 20th century. A cross between the MacIntosh and Jersey Black, it’s every bit as tasty but crisper and holds its shape better when baked. Apples won’t grow true to type from seeds. The only sure way to get what you want is to graft stock from the desired tree onto reliable roots. So, once a new apple has been developed, it takes a while to have enough mature trees for commercial production. Breeders are always working on new combinations to find the next big thing. Names like Jazz, Honeycrisp, and Gala seem to come more from the marketing department than from the farm. 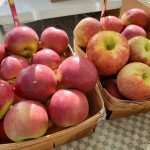 Well-established apples like Cortland, Ida Red, Empire, and the evocatively named Winesap date from the late 19th and first half of the 20th century. All are prized for both eating and baking. Thankfully, there are helpful resources for navigating the sometimes confusing bounty of apples. If you’re at the farmer’s market, the best source is the grower. I find that the farmers are happy to delve into each apple’s personality, make recommendations, and give advice about the best use for each type. Beyond that, there’s a helpful guide to apples on epicurious.com with photos by Esther Sung and a more comprehensive listing on pocketchangegourmet.com. Either one is handy to have on your phone. 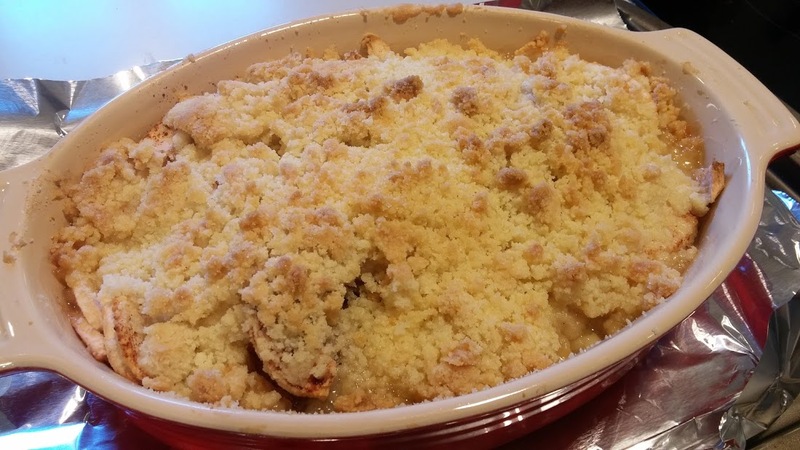 Marsha will be baking the magical combination of apples and cinnamon in her family-recipe apple crisp this week. 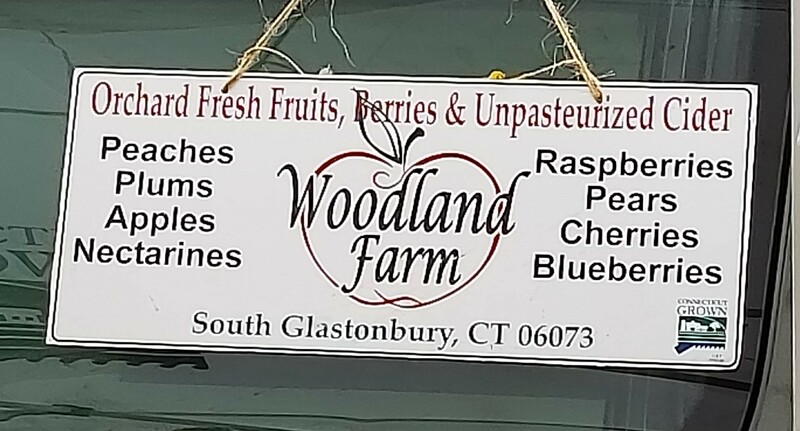 I turned to the helpful farmers at Woodland Farm in South Glastonbury, CT for some advice on the best apples to use. 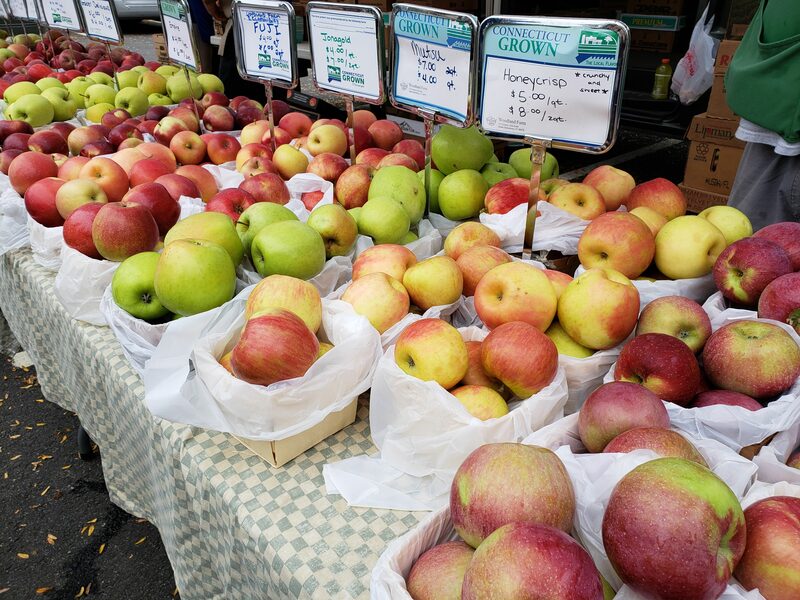 They sell at both the Thursday Westport Farmers Market and the Saturday New Canaan Market. A blend of Empire, Cortland, and Ida Reds was the consensus. Each apple brings something a little different to the party adding complexity and interest. Both the Empire (firm and sweet), and the Cortland (sweet-tart and softer), descendants of the MacIntosh, were developed in the Finger Lakes region of New York. Tart and juicy Ida Reds hail from Idaho and are a cross between Jonathan and Wagner types. If you’d rather drink your apples, fresh-pressed sweet cider is at its best now. 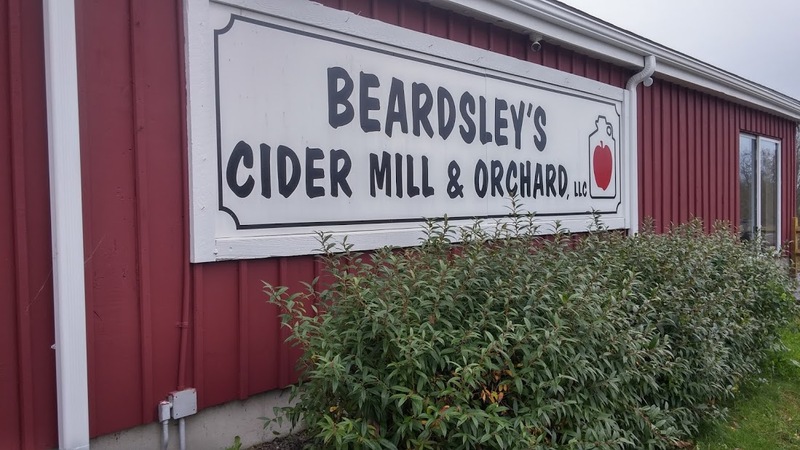 To see the press in action, take a drive to Beardsley’s Cider Mill and orchard in Shelton. 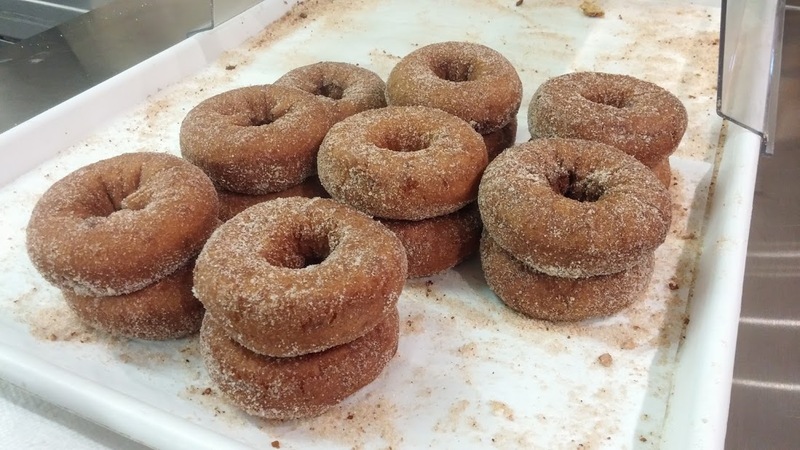 While you’re there, pick up a pie and some of their exceptional homemade cider donuts. 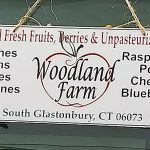 Closer to home, Farmer’s Cow Connecticut cider is available in most supermarkets and Stew Leonard’s brand is delicious. The real thing is always cloudy and needs a good shake before pouring. A growing range of refreshing hard ciders is available these days. We recently tasted a juicy and crisp Downeast Unfiltered cider from Boston with great apple flavor. If you see any from Shacksbury, give it a try. Angry Orchard is widely available – look for the specialty bottlings from Walden, New York. I hope they still teach the story of Johnny Appleseed (John Chapman) in school these days. 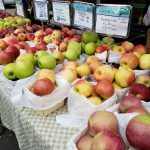 His life-story of bringing apple trees to newly settled areas as the country moved west calls attention to the importance of apples to the pioneer American culture. Chapman laid the foundation for the tradition of apples today. 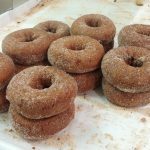 Fresh, baked, fermented, or even in a donut they all count as an apple a day in my book.